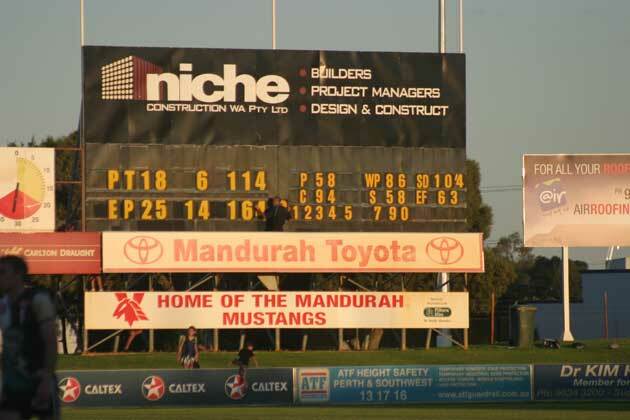 Rod has been the scoreboard attendant at Rushton Park in Mandurah since Peel Thunder joined the WAFL in 1997. 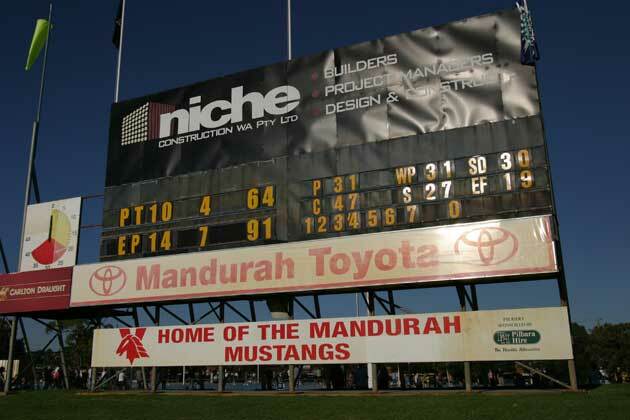 He did the job for the Mandurah Mustangs in the Peel Football League before that. A radio hanging at the back of the board keeps Rod up to date with scores from other grounds and he prides himself on keeping all the scores as current as possible. “You’ve got to concentrate on this game though, that what you’re here for,” he said. 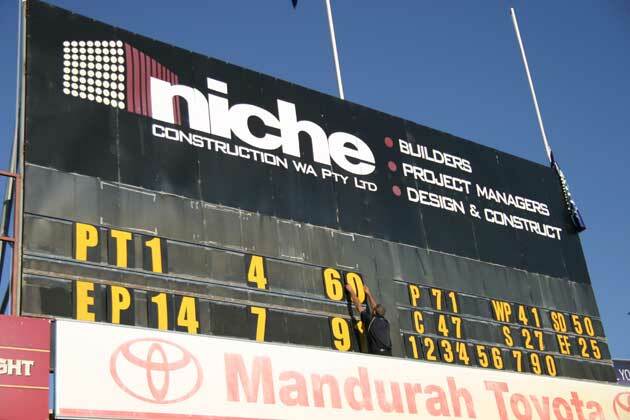 And last Saturday there wasn’t much down time for the scoreboard attendant with East Perth scoring 25.14 (164) to Peel 18.6 (114) – that means a change of score about every two minutes. 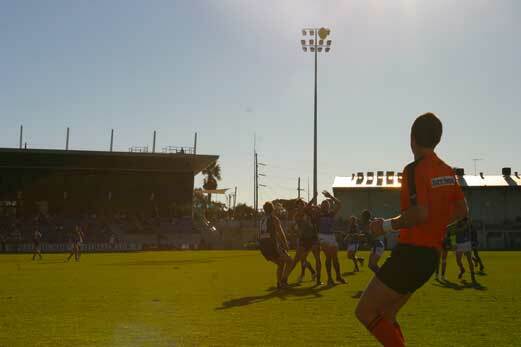 Rushton Park underwent a $9million redevelopment that was completed last year and the Thunder have the best facilities in the WAFL. The team has never made the finals and are currently on the bottom of the ladder. 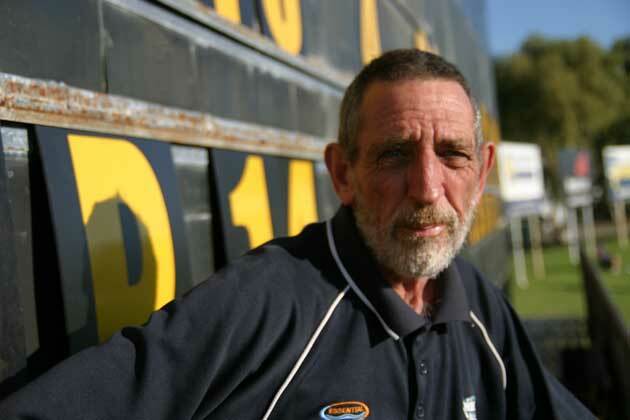 Peel has produced two Sandover Medal winners – Allistair Pickett in 2002 (when team mate Daniel Wells was runner-up) and Hayden Ballantyne in 2008. 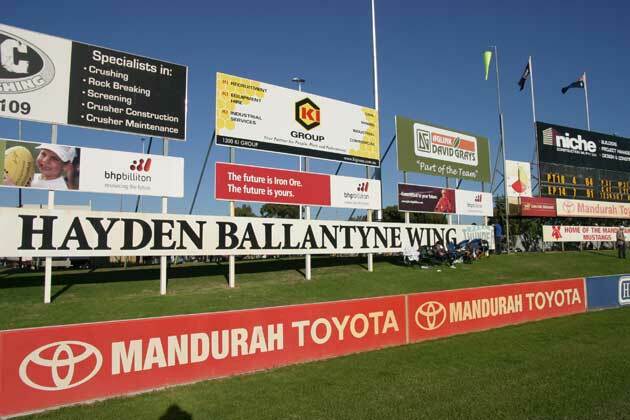 Those who believe Mr Ballantyne is not a popular fellow need to take a trip to Mandurah and glance at the eastern wing. One day Rod hopes to be providing fans in the comfortable grandstand with more favourable scores but for now he’s just doing things as well as he can. “They pay me so I have to do a professional job, don’t I?” he said.